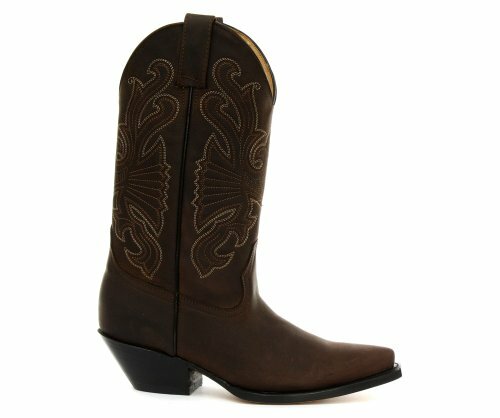 These cowboy boots are a pair of beauties, with real traditional styling, premium oiled brown leather and a 2.25 inch cuban heel. 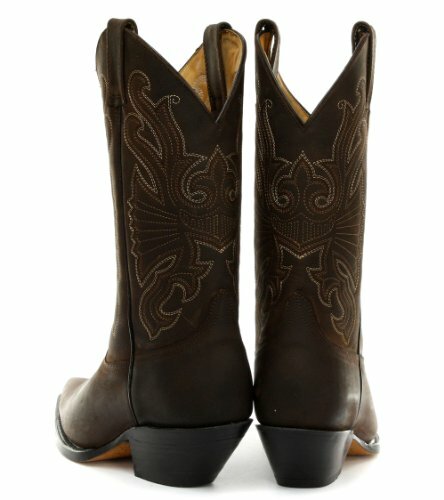 These lovely boots also feature a leather inner lining for ultimate comfort, a classic embroidered stitched motif to the front and back of the boot, pull straps for easy pull on and Goodyear welted soles. 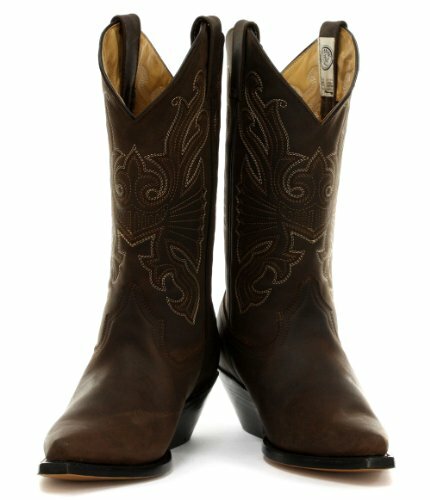 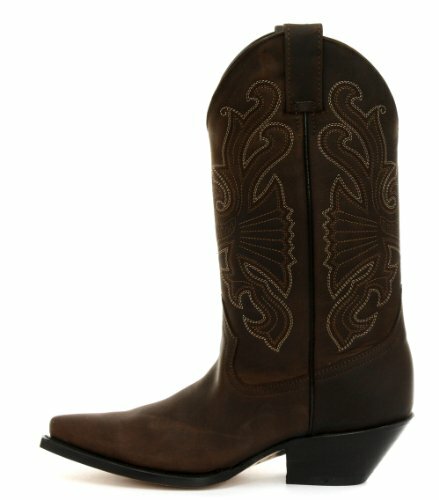 These really are a premium pair of cowboy boots.